This Sunday all kids are invited to stay after the worship celebration for Kidz Choir. 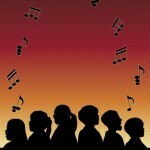 The kids will be singing in the service on Palm Sunday, April 1. Rehearsal will be downstairs in the elementary room. Chain-Free Living (John 20:1-18) on April 21, 2019.